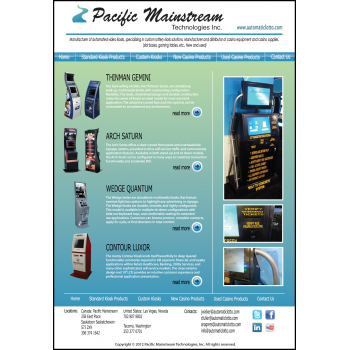 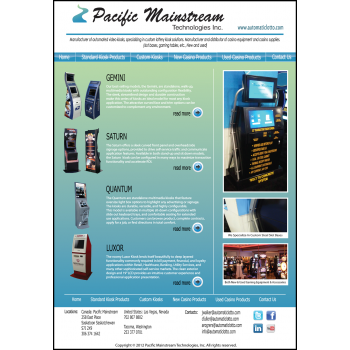 Fun Web Page Design for Mainstream Pacific Technologies Inc.
Lottery corporations,casino's and gaming companies worldwide. 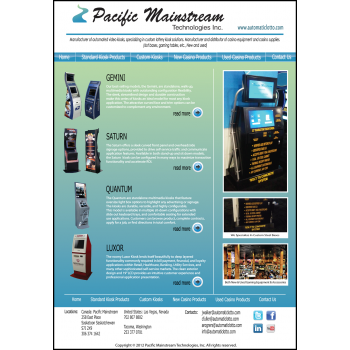 Must tastefully display our logo as well as get our marketing story out to our target market. 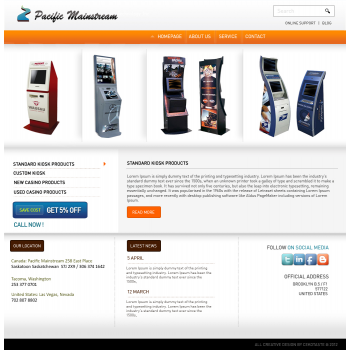 Should have large pictures of lotto kiosks as well as some smaller casino industry related equipment such as our slot machine bases and maybe some gaming tables. 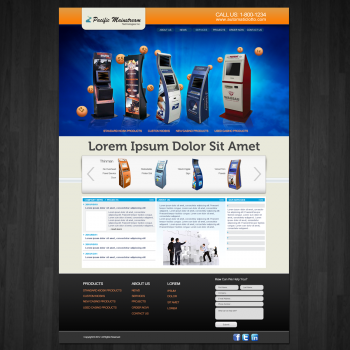 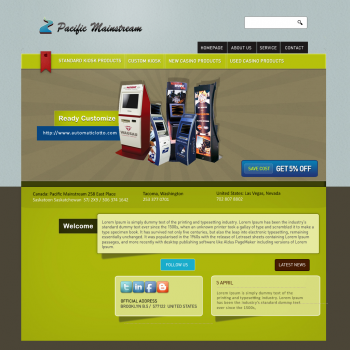 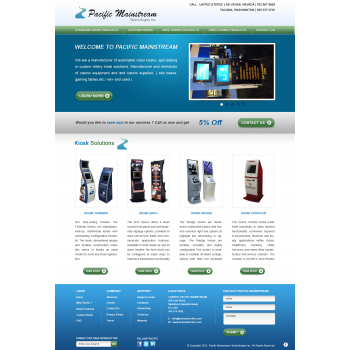 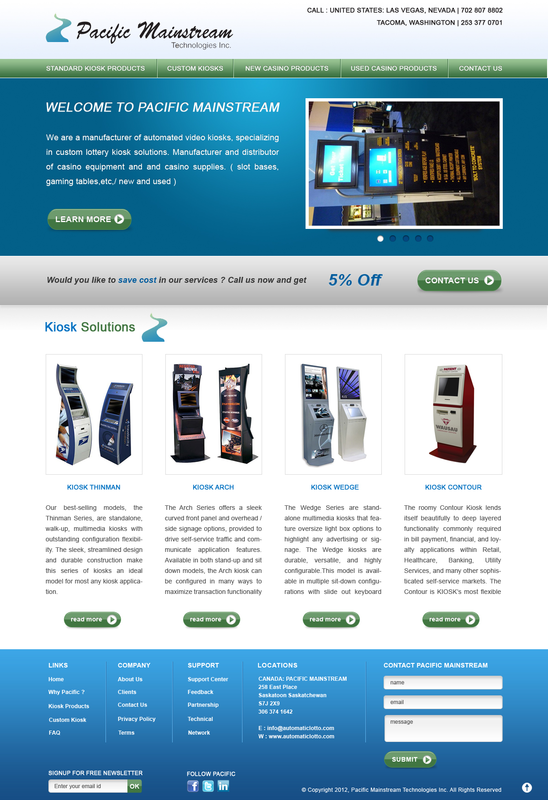 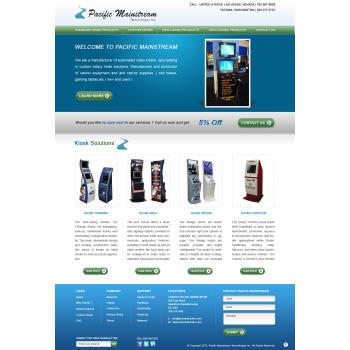 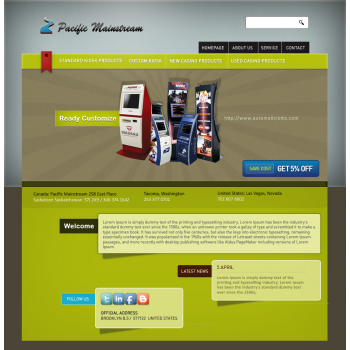 Note: Please go to http://www.kiosk.com to download more Kiosk designs and photo's for home page. 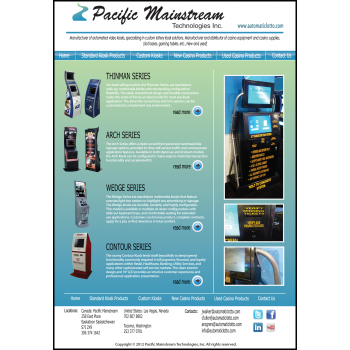 We suggest the following designs, Thinman/ Arch / Wedge /Contour.